Becoming a Certified Nursing Assistant or Nurse Assistant Certified in Washington starts with at least 85 hours of classroom and clinical training. Washington’s health care professionals are expected to complete a 7-hour course in HIV/AIDS training as part of the certification/licensure process. There are several schools offering NAC training in Tacoma, including colleges, vocational schools, and proprietary training providers. Students must pass a state background check and provide proof of immunization to become a Registered Nursing Assistant to participate in the clinical experience. If you’re in search of free nursing assistant training, you should contact long-term care facilities in your area as they may facilitate free training when they’re in need of new staff. 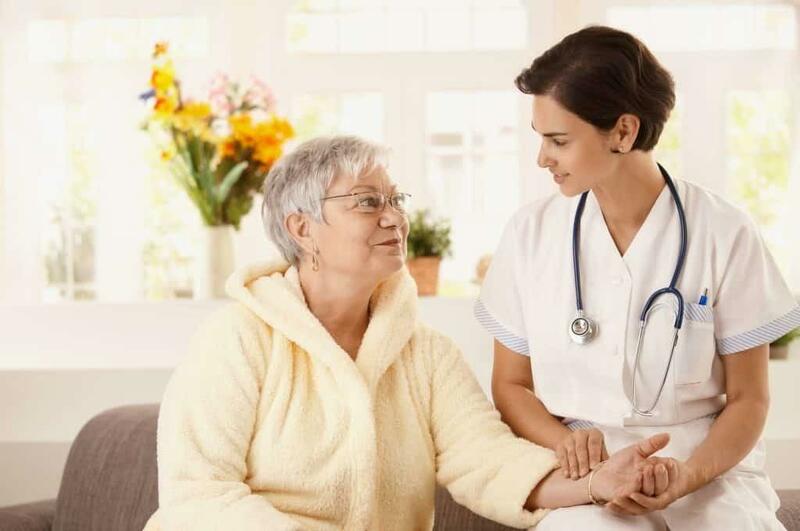 The Certified Nursing Assistant training program at ProCare Academy provides students with the basic understanding and patient care skills to work in acute care or long-term care settings. The program covers lecture and practical experiences in a supportive learning environment. With an emphasis on adult/geriatric and pediatric care, the curriculum exceeds the standards of Washington State and OBRA. Graduates are eligible to take the nurse competency exam for state certification. Day, evening, and weekend schedules are available and include 70 hours of lecture and lab and 50 hours of clinical practice in a skilled nursing facility. Tuition for the program is $625 and includes 7 hours of HIV/AIDS training and 4 hours of CPR for Healthcare Providers. Students must pay $250 before the first day of class. The tuition does not include the registration fee, textbook, gait belt, PPD test, and uniform. Bates Technical College prepares nursing assistant students for employment as an entry-level employee in acute and long-term care settings. Graduates are eligible to take the state certification exam to become an NA-C. Applicants must have current immunizations, CPR, and health insurance. The school will conduct a Washington State Patrol criminal check on all student – the cost is included in the tuition. Students must for textbooks and clinical supplies in addition to the tuition cost. Classes meet Monday through Thursday from 7:00 am to noon for 4 weeks to complete the 5-credit course. Blossom Nursing Assistant Training school trains students to become competent nursing assistants and lay the foundation for advanced careers in health. The three-week program features intensive study in the classroom, lab, and clinical setting. Course topics include basic patient care, infection control, nutrition, anatomy and physiology, activities of daily living, basic restorative care, legal issues, and good body mechanics. Day, evening, and weekend schedules are available. Applicants must be able to lift up to 50 pounds, pass a Washington state background check, and obtain TB clearance. Upon completion of the curriculum requirements and passing a Blossom NA exam, graduates are eligible to take the OBRA competency exam. Tuition costs $580 and includes textbook, CPR and HIV training. Divine CNA Training facilities a state-approved nursing assistant program that covers 88 hours of classroom and clinical instruction. The 48-hour classroom session includes HIV/AIDS education (7 hours) and CPR (3 hours). Students learn how to maintain patient confidentiality, safe alternatives to restraints, perform vital signs, use proper body mechanics to prevent injury, document findings, apply principles of nutrition, communicate effectively with patients and their family, provide personalized care based on cultural, psychology, and physical differences, provide pre and post-operative care, and understand their role in a medical setting. Divine CAN offers morning, evening, and weekend classes. Applicants must complete the first part of a 2-step TB test before the first day of classes. A criminal background report will be required for participation in the clinical experience. Tuition costs $490 plus %50 for registration. The course textbook is included in the cost. Students must budget extra for a gait belt, navy blue scrubs, closed toed shoes, TB testing, and criminal background check. Pierce College offers nursing assistant training every quarter. Students meet four days a week from 8:00 am to 5:00 pm to complete the requirements for the 12-credit course. Instruction begins in the classroom for the first five weeks followed by three to four weeks performing patient care at a clinical site. Clinical times are from 7:00 am to 3:00 pm. Upon successful completion of the program, the graduate will be eligible to take the state NAC exam to practice as an NAC. Applicants must score 79 or more on a COMPASS Reading assessment and obtain criminal background clearance. A wait list may be in effect since admission is limited to 10 students. Tuition for the course will range between $1,400 and $1,500. Clover Park Technical College prepares nursing assistant students to become competent members of the patient care team. Graduates must apply for and pass the NNAAP exam and meet the state’s eligibility requirements to practice as certified nursing assistants. the 185-hour program includes 65 hours of theory, including the required HIV/AIDS and CPR training. Also included in the curriculum is 60 hours of clinical experience in a long-term care facility. Students must attend all classroom and clinical sessions to complete the program. Applicants must pass a criminal background check, attend an orientation session, have current immunization (Hepatitis B series, Td, Varicella, and two-step TB, MMR), and be able to lift up to 25 pounds without assistance. Tuition for the 13-credit class is $2005.18.